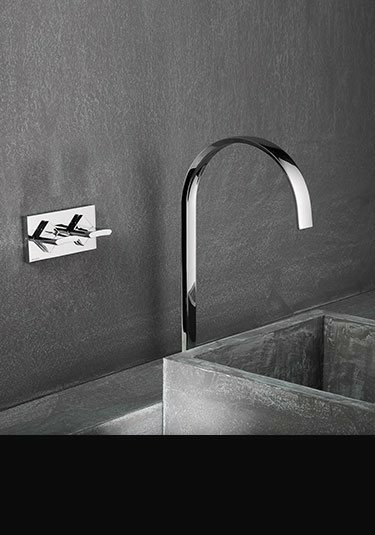 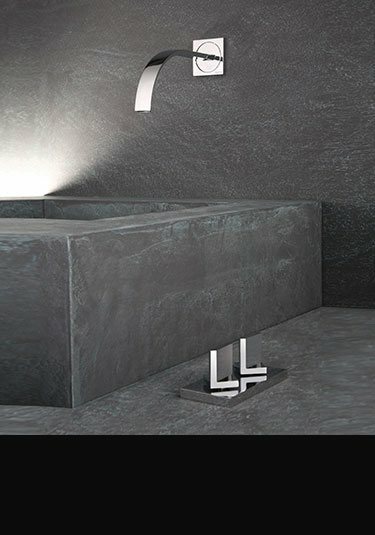 An exclusive collection of Italian designer taps that are uniquely styled and very difficult to manufacture. 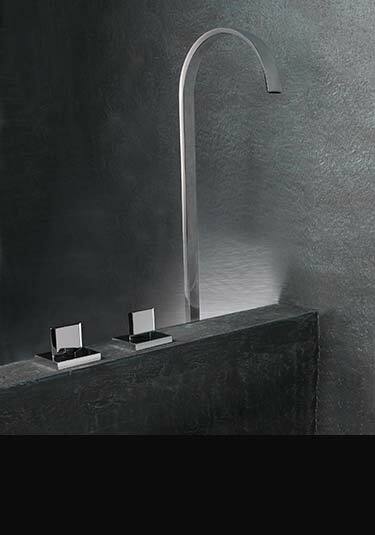 With its stylish flat tapered spouts and full chrome on brass construction, these luxury bathroom taps are designed to last and ideal for beautiful bathroom styling. 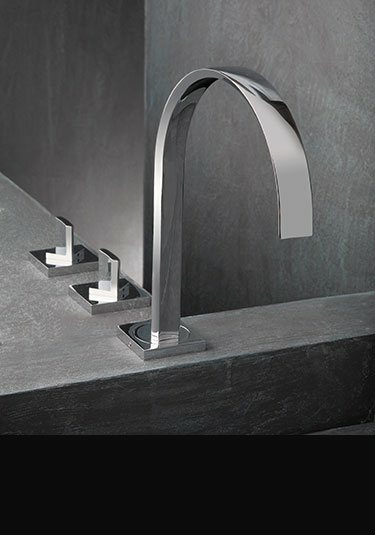 * Wall mounted basin taps. 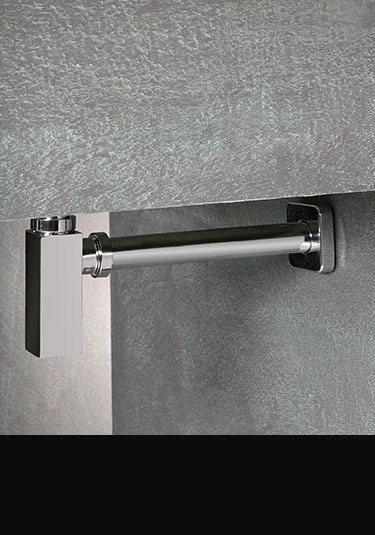 * Wall mounted bath fillers. 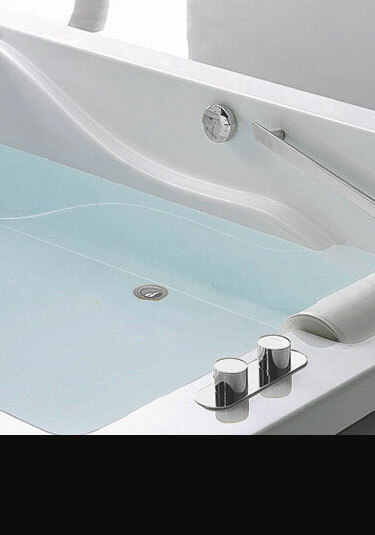 * Floor standing bath fillers. 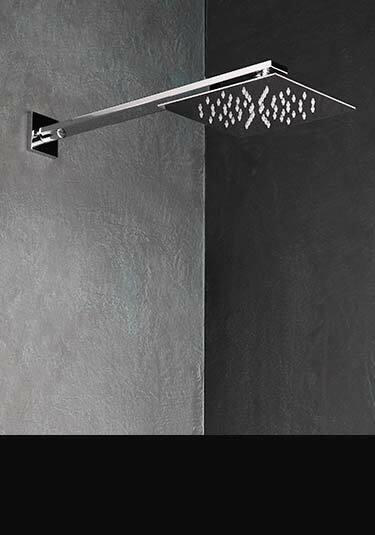 Italian designed and manufactured fixed shower head made of brass with a chrome plated finish. 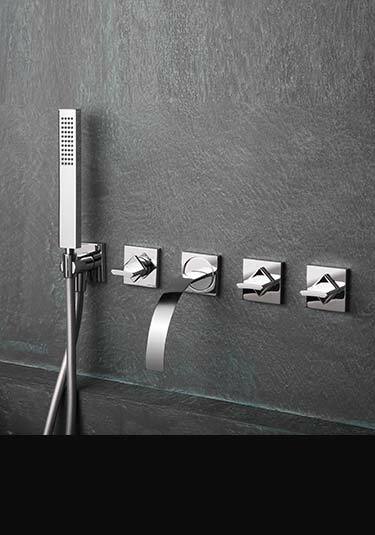 This wall fixed shower head includes the 450mm cubic arm. 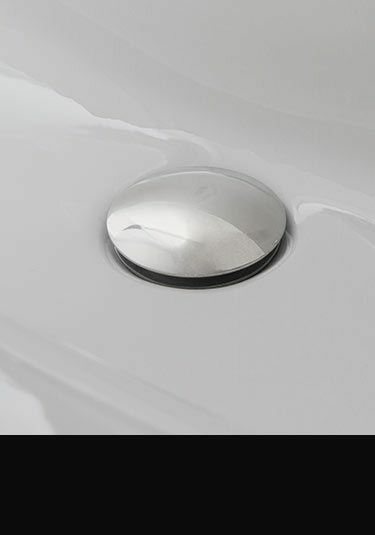 This Italian bidet tap is luxury quality and made in solid brass with chrome plating and available with deck mounted or wall mounted controls. 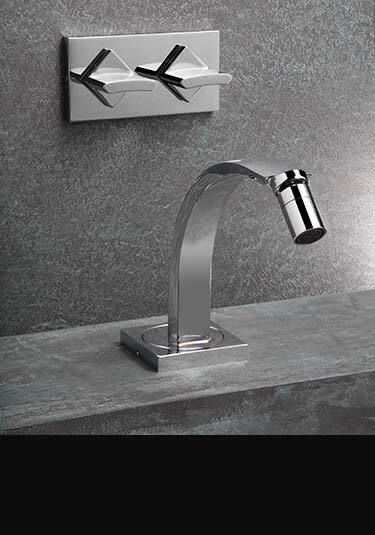 Using a chrome bottle trap waste on your basin is the luxury finishing touch required in high quality bathroom design. 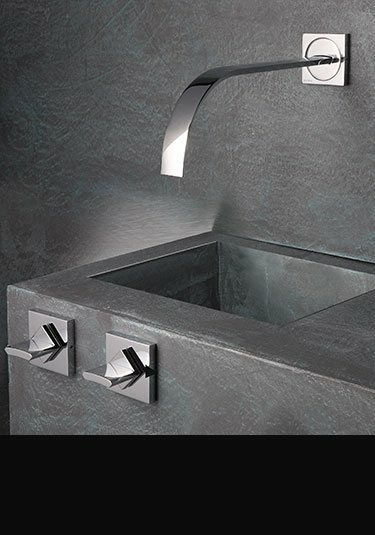 This square styled basin waste is made in brass with a chrome plated finish.